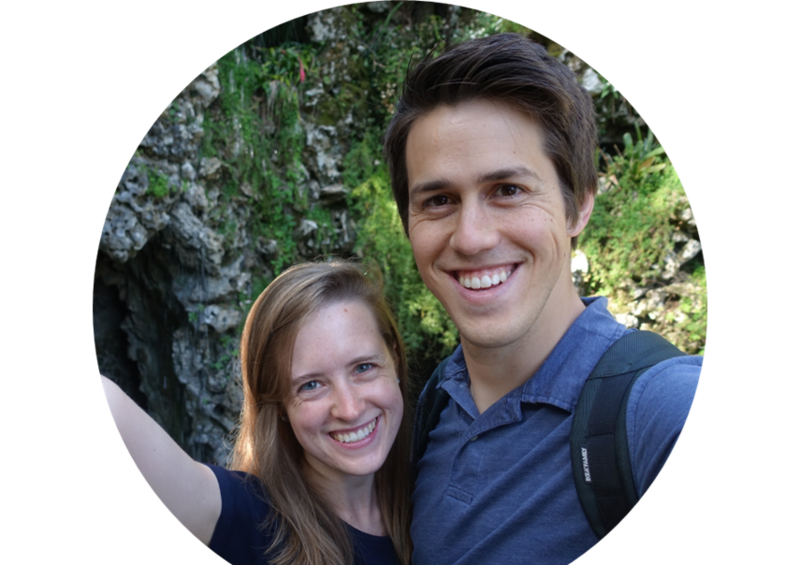 As our remaining time in Spain quickly comes to a close, not only are we working to cross things off our ever-growing to-do list of cleaning and packing tasks, but I've also got a small but (equally?) important list of things I'd like to see and do one last time around Madrid. One of those things was a day trip to Ávila, a small town northwest of Madrid that we visited during our first fall in Spain (November 2015, actually, which sounds like forever ago now!). Three of the best day trips from Madrid are, in our opinion, Segovia, Toledo, and Ávila, and while we've been to the first two multiple times, for one reason or another, we'd never returnetraid to Ávila. 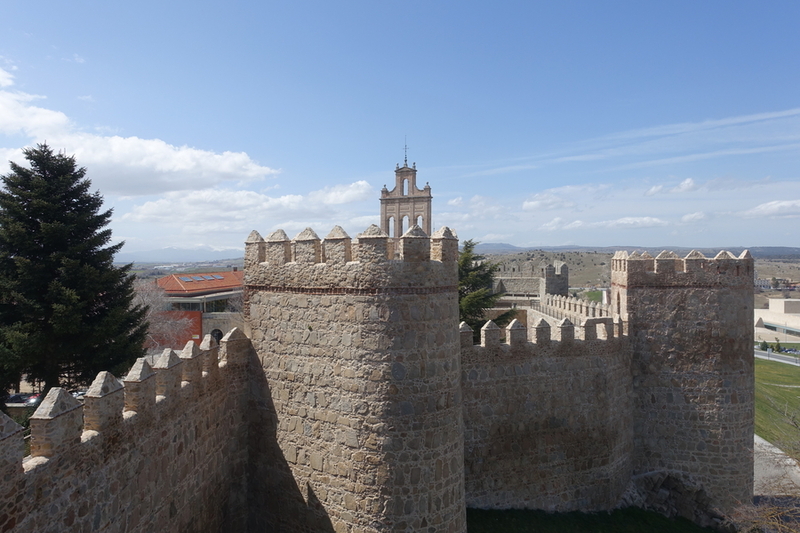 Similar to the first trip we took to Ávila, we centered our day around the medieval city walls. 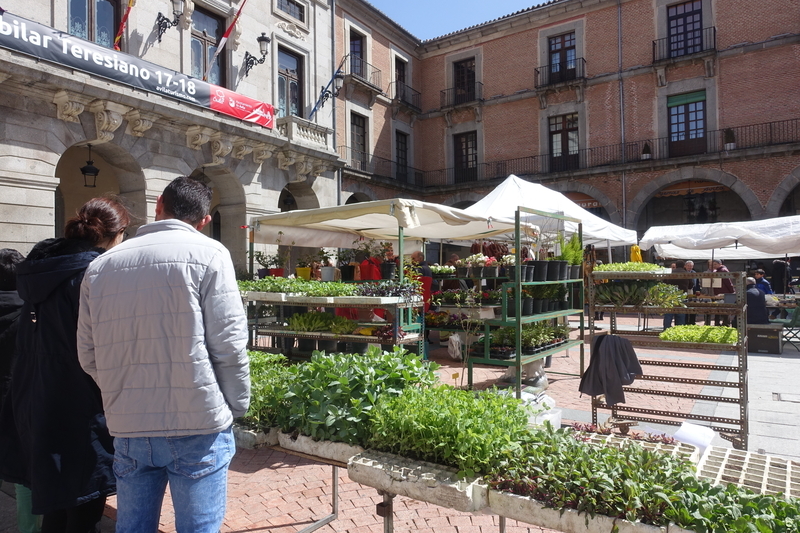 We had about four hours to spend in the town this time around, arriving by train just before noon, and leaving to head back to Madrid at 4pm. We were ready to eat lunch as soon as we arrived, so we headed inside the walls in an attempt to escape the blustery winds (that unfortunately plagued us all day!) and ate in the Plaza Mayor. Apparently, Friday is Ávila's market day, which made for some fun people watching as we ate our sandwiches in the sun. Before arriving, we weren't sure if we would pay to climb up and around the city walls, since we did so on our first visit, but once we got there, it sort of seemed like a "...well, why not?" situation. It's hard to say if/when we'll ever visit Ávila again, and being able to walk around on such a beautiful and well-preserved fortress (and for only €3.50 a person!) was impossible for us to pass up. Just like before, we took the stairs into each and every one of the towers accessible to the public, taking in the views of the town both encircled by the walls and all that sprawls to the outside. Despite the wind, we loved walking around on top of the wall, as well as along the base of it once we finished for a different perspective. D - Perhaps because of the wind, and certainly due to the fact that we visited on a weekday, we practically had the old city walls all to ourselves. We love it when we get lucky and get to visit a tourist attraction without a ton of tourists around, because let's be honest, if there's one thing that makes me feel misanthropic, it's other tourists. At one point though, there were these young women from America around, and Shannon and I both wondered afterward how we'll ever be able to focus on anything once we get back to the States! Being able to understand what's being said around you is so distracting! Visiting might not have brought the same thrill that it did the first time, but that's kind of how it goes with most things - it's still fun on subsequent tries/visits/etc, but it just doesn't have the same novel feel to it. You do gain valuable experience though...which is why based on our previous trip, we knew we could skip the overlook at Cuatro Postes as well as yemas, Ávila's signature sweet (both of which we found overrated before). The benefit of going places more than once - you can hit up the highlights and skip everything else, focusing on the good stuff! D - Despite their simplicity and relative uselessness in today's world, I always really enjoy visiting big walls like the one's in Ávila. They often offer great views, easy strolling, and plus, it's fun to think about their steadfastness and stalwart nature despite all the changes that have happened around them throughout the centuries. Through momentous cultural, political, and historical changes, these walls have stood, unaffected by it all. They also have a tendency to wake up the fantasy nerd inside of me, and it's fun to shoot pretend arrows at passers-by.